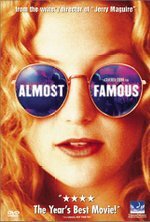 The semi-autobiographical coming-of-age tale of Cameron Crowe's exposure to the real world as a budding rock journalism reporter at Rolling Stone. Q: What are the trademarks of a Cameron Crowe film, and why are they less successful in recent years? Cameron Crowe is an auteur with identifiable patterns that make his films distinctive as well as predictable. But are his trademarks working as well as they once did?